Winner Category $1Million & Over / Home Unit Renovation. 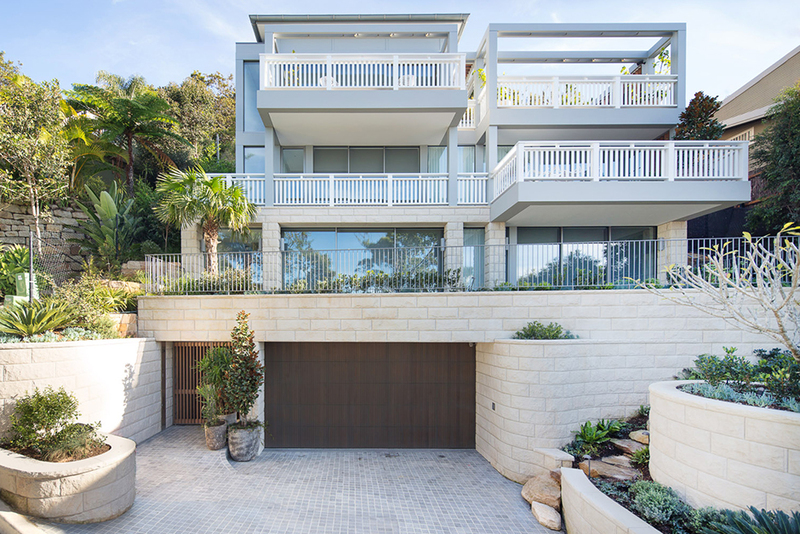 Pacific Plus Constructions were excited to be awarded the winner of the 2016 MBA Housing Awards for the Category $1Million & Over / Home Unit Renovation. The judges were impressed by the fitout which they described as the “most exciting fit out they had seen for a decade”. 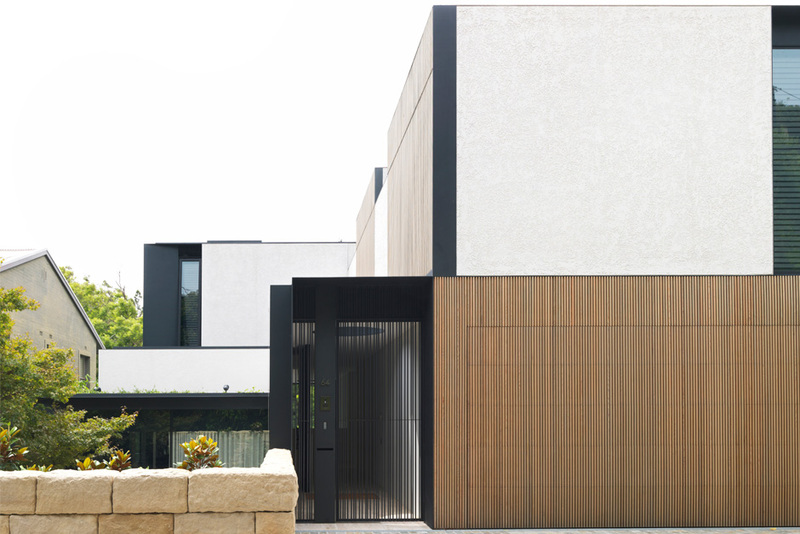 Commendation for New House over 200m2 – 2014. The site has overgrown sandstone escarpment to the South and undisturbed panorama of mature trees in Cooper Park to the North. The architectural form is a study of stacked cubes responding to site levels, creating continuous links to the escarpment and park and interaction with the public domain. 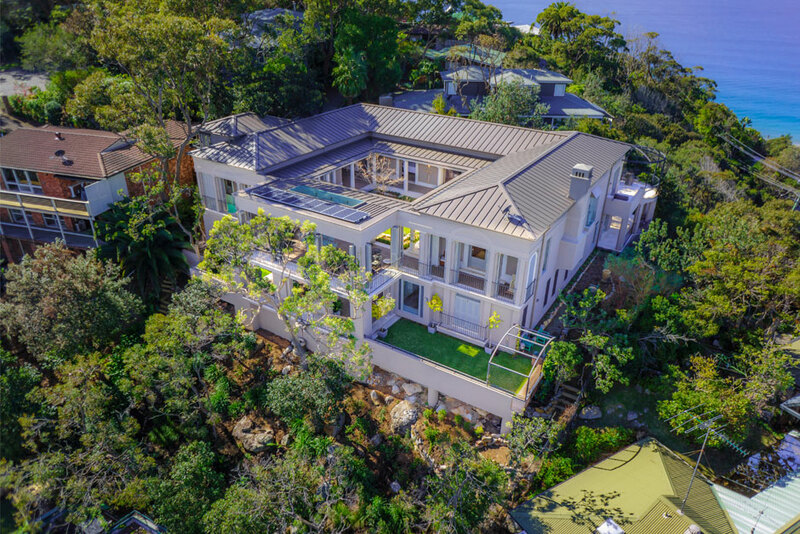 Judge’s comments: This beautiful home is sited overlooking Palm Beach, with the client’s brief to take advantage of the site features such as having the main living areas on one level, use verandas, shutters and planting to diffuse the summer sun but provide sun traps for winter. The structure was to the highest standard with high thermal mass, quality finishes, an overall rustic feel using natural materials. There were a number of construction challenges noted by the judges including limited access to the house requiring the installation of a site crane, which, with a reach of 42m was only just sufficient, additional excavation requirements due to a series of car sized floating boulders that were not suitable founding material, the need for 120,000 bricks, extensive bracing to secure all elements due to severely high winds, to name but a few difficulties faced by the builder. The judges said the internal linings, tiling, painting and joinery were flawless, producing a stunning finished product. 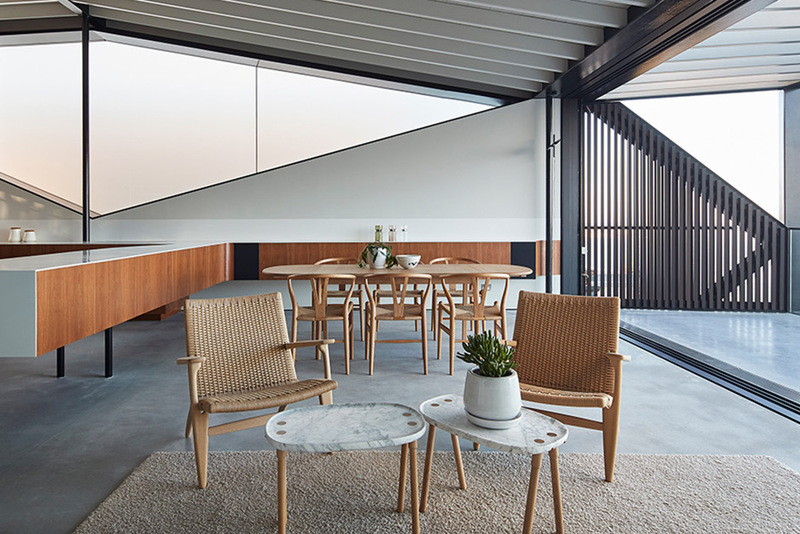 The Mosman Design Awards presentation evening once again was a big hit with the nominating architects, owners and judges that attended the event on 11 March at the Mosman Art Gallery. The design of this house grows out of the rock face. It is one with the natural form of the site and expresses its origins clearly and elegantly as it rises up from the earth. 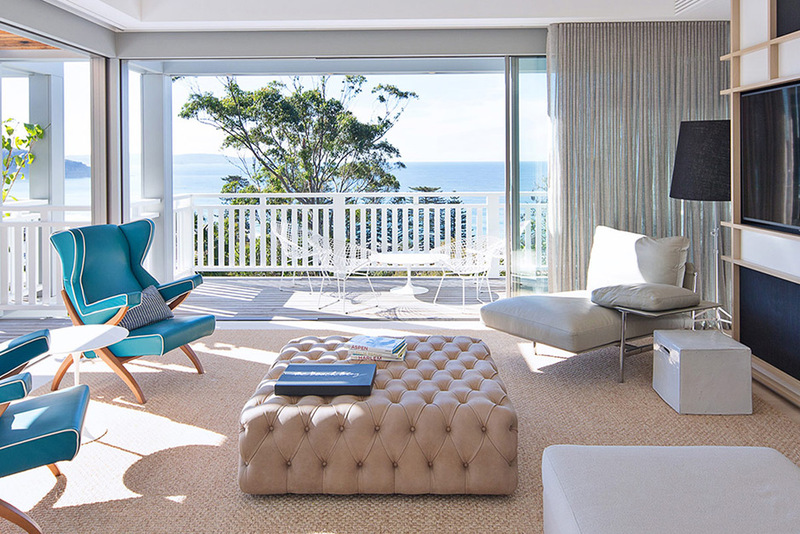 It provides a subtle reference to the earth, sky and the sea in its design – all essential elements in the experience of this part of Mosman. The jury was impressed with the sense of adventure, thoughtfulness and changing sense of enclosure of the design from the entry into the site through the rock mouse hole up to the house and into the house itself. 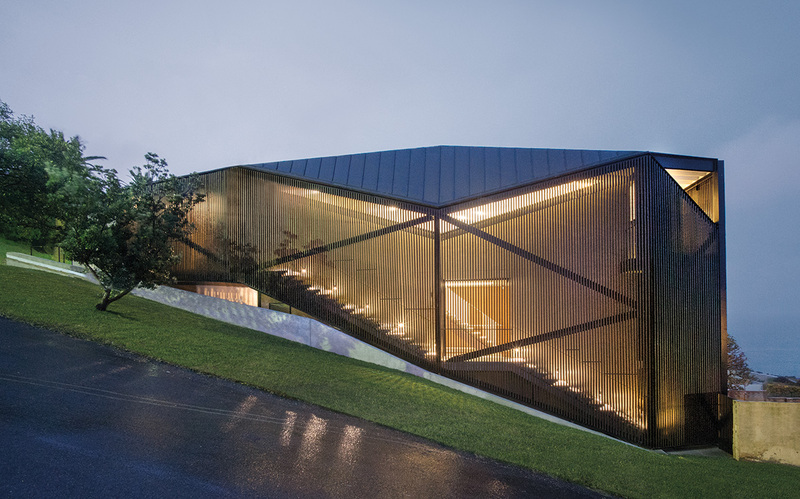 The design arranges itself to respond uniquely to its context- its orientation, views and rock formations and is inextricably linked to its site. 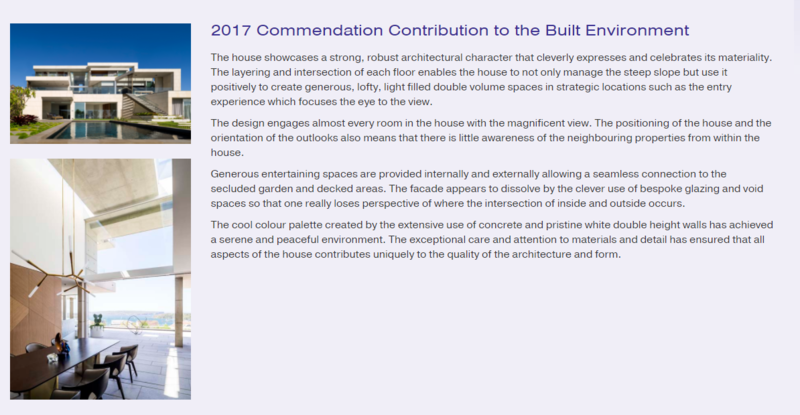 The jury commends this approach as it delivers an outcome for the home owner, the street and the area that truly expresses its surroundings. 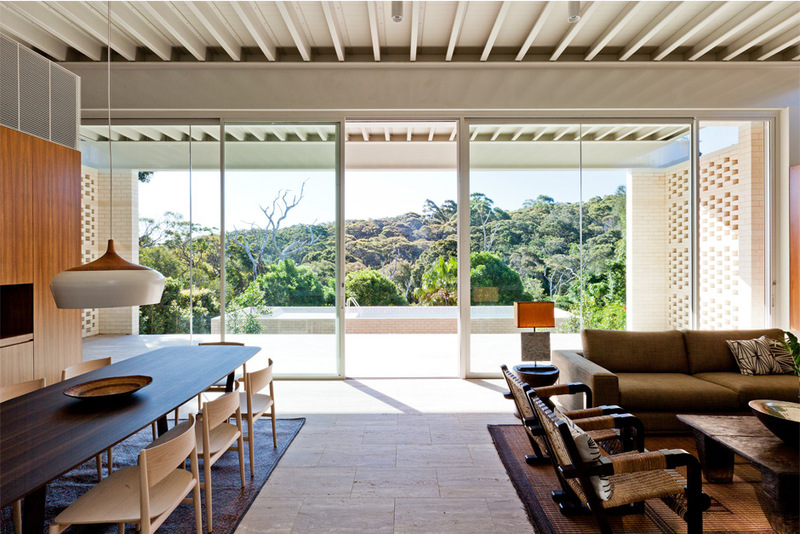 The internal planning of the house provides for very flexible living and maximises the opportunity for water views and sun through its sinuous form, projecting elements and considered courtyard spaces. 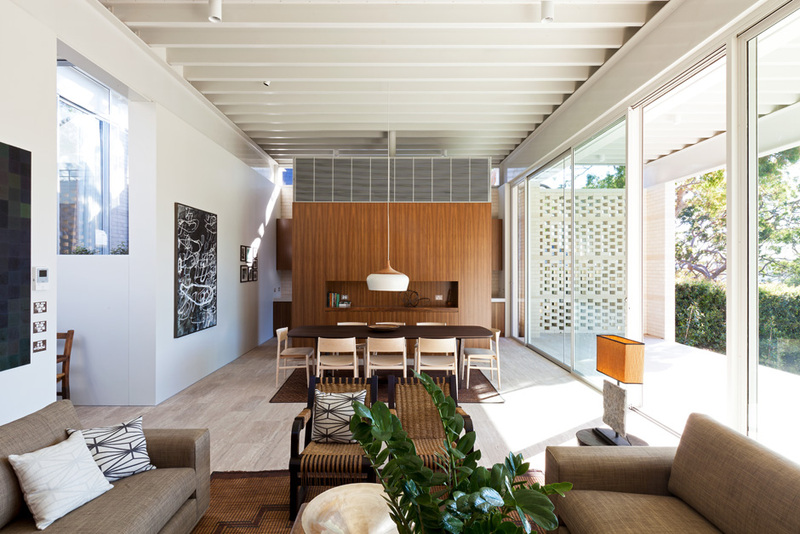 In addition to its thoughtful design the dwelling provides a sustainable solution and minimises life cycle costs for the owners. Materials hewn from the site are reused and expressed within the building form and the disturbance to the site has been minimised. 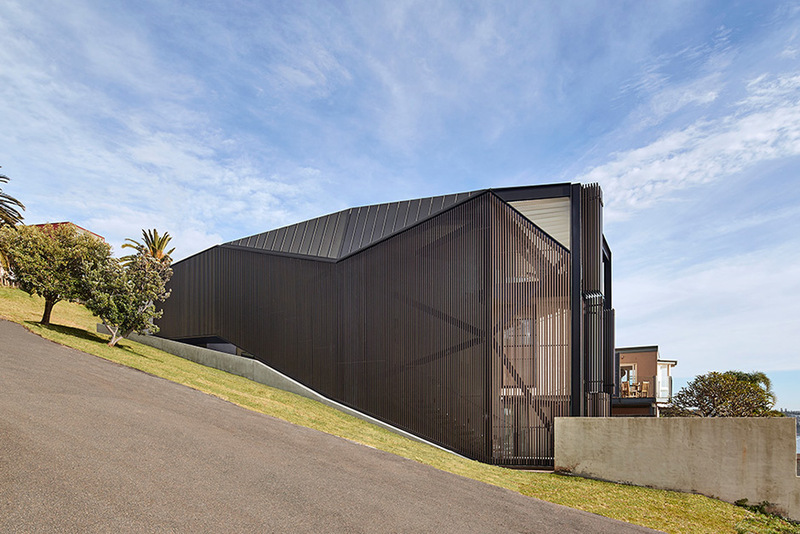 Overall the jury felt that this design achieved excellence in the Built Environment for Mosman and congratulate the architect on a unique and exciting building. 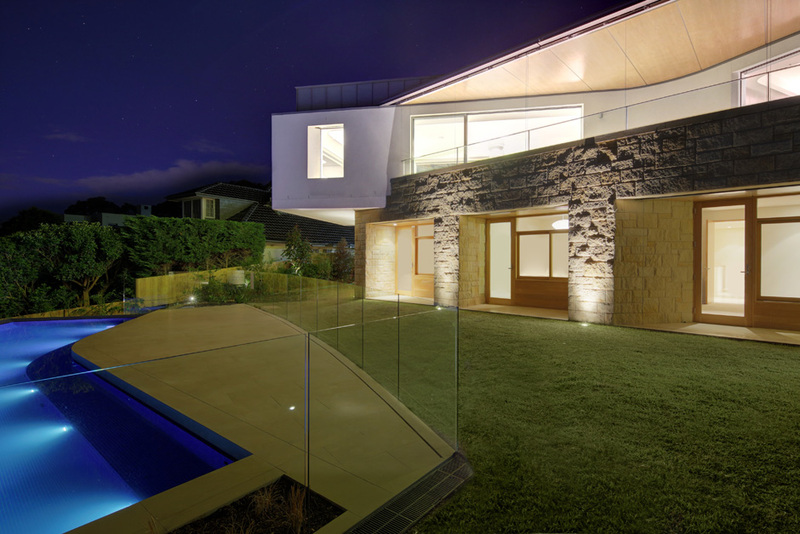 Houses is Australia’s leading residential architecture magazine for designers and their clients. 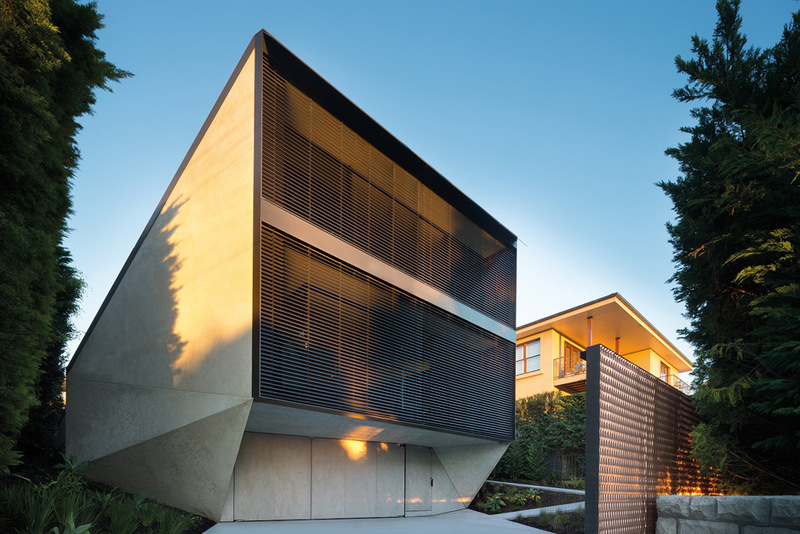 Houses presents inspiring residential projects by Australia’s leading architects and designers. 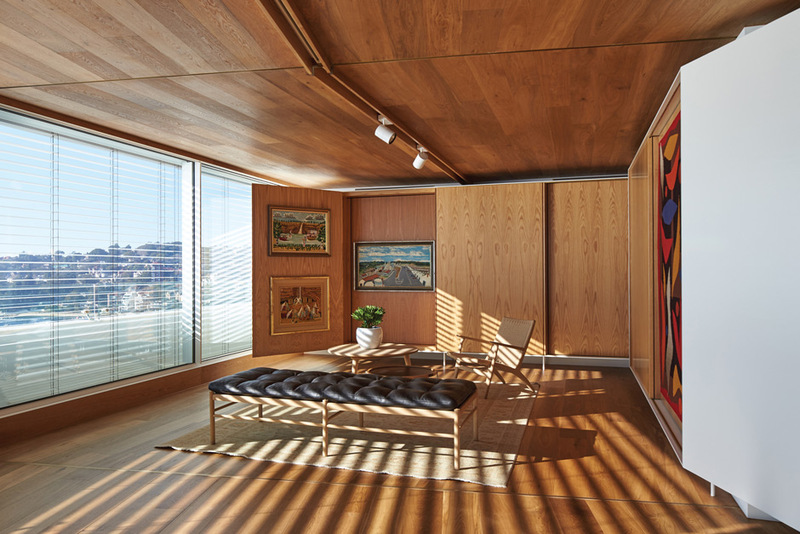 These projects reveal the way that a house, through occupation, becomes a home – the architectural ideas, and the people and products behind them. Houses includes extensive pictorial coverage and engaging stories together with floor plans and detailed lists of the products used. Houses is endorsed by the Australian Institute of Architects and the Design Institute of Australia (DIA), and audited by the Circulations Audit Board (CAB). INSPIRE is a yearly celebration in print of the Australian Institute of Architects’ National Architecture Award winners. 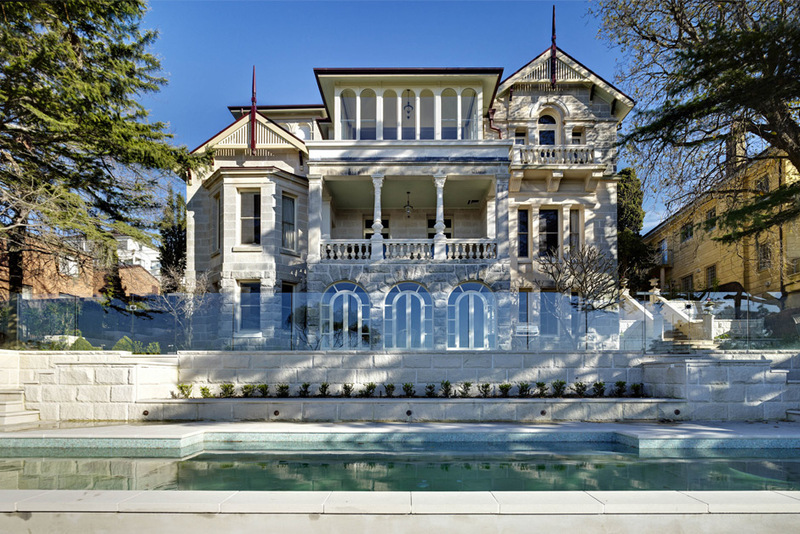 Judge’s comments: A truly grand entry for a grand 19th century home in Mosman. The quality and attention to detail impressed the judges as did the knowledge that many skilled trades people could still be found to execute the works. Congratulation on a job well done.